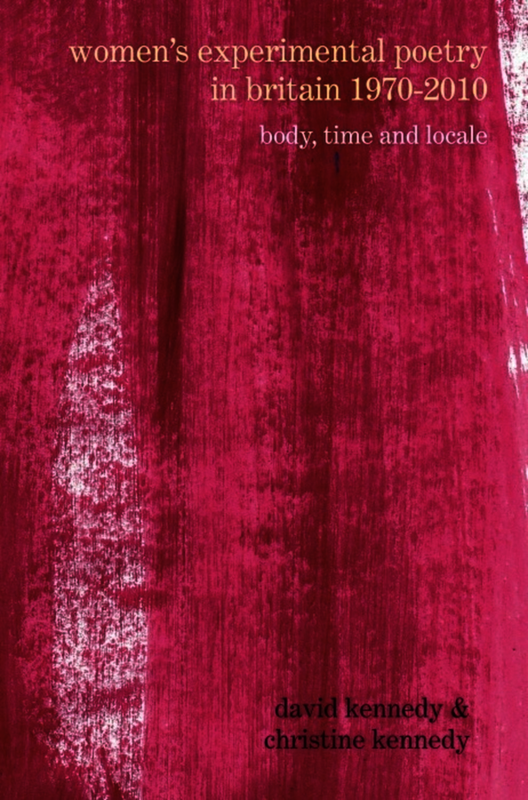 Women’s Experimental Poetry in Britain 1970–2010: Body, Time and Locale presents the history and current state of a critically neglected, significant body of contemporary writing and places it within the wider social and political contexts of the period. Ranging from Geraldine Monk’s ventriloquizing of the Pendle witches to Denise Riley’s fiercely self-critical lyric poems, from the multi-media experiments of Maggie O’Sullivan to the globally aware, politicised sequences of Andrea Brady and Jennifer Cooke, David Kennedy and Christine Kennedy theorise women’s alternative poetries in terms of Julia Kristeva’s idea of ‘women’s time’ and in terms of the female poetic voice constantly negotiating with dominant systems of representation. They also offer a much-needed re-theorising of the value of avant garde practices. David Kennedy is Senior Lecturer in English and Creative Writing at the University of Hull. His publications include 'Elegy' (Routledge, 2007) and 'The Ekphrastic Encounter in Contemporary British Poetry and Elsewhere' (Ashgate, 2012). Christine Kennedy is an artist, poet and independent scholar whose publications include co-authored articles on Denise Riley, Geraldine Monk and Elena Rivera.